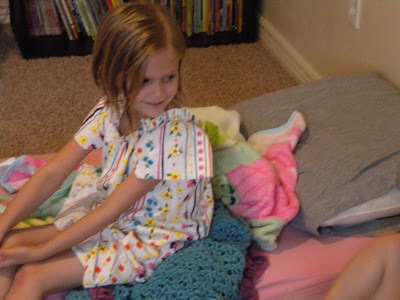 My little girlie-girls LOVE nightgowns! Why? Not sure. Maybe it has something to do with the twirl-ability of nightgowns, or maybe it is more princess-y than pjs. But whatever it is, we just don't have enough nightgowns in our house. 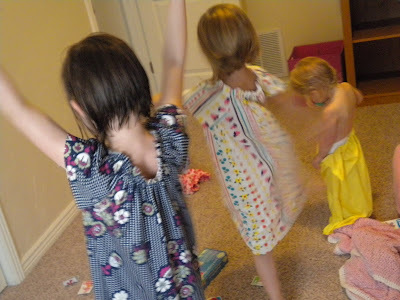 So, yesterday I decided to whip up some nightgowns for the girls. And what better than the Sweet Dress pattern? I used knit fabric, so that I didn't have to finish any of the edges and shirred the neckline. Total time was about 20 minutes a piece, from start to finish. And the total cost is about $2 a piece or less. LOVE the nightie nightie so much! 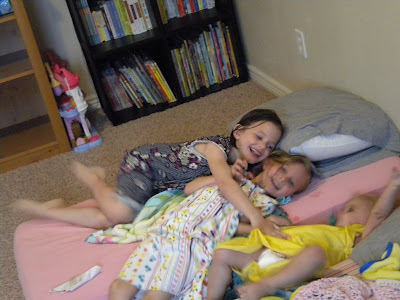 My girls love their nighties and I have the fabric sitting next to my sewing table waiting for the perfect pattern. Looks like this one might be it. How cute are those!!! And cute little models! Love the pic of the youngest taking it off! 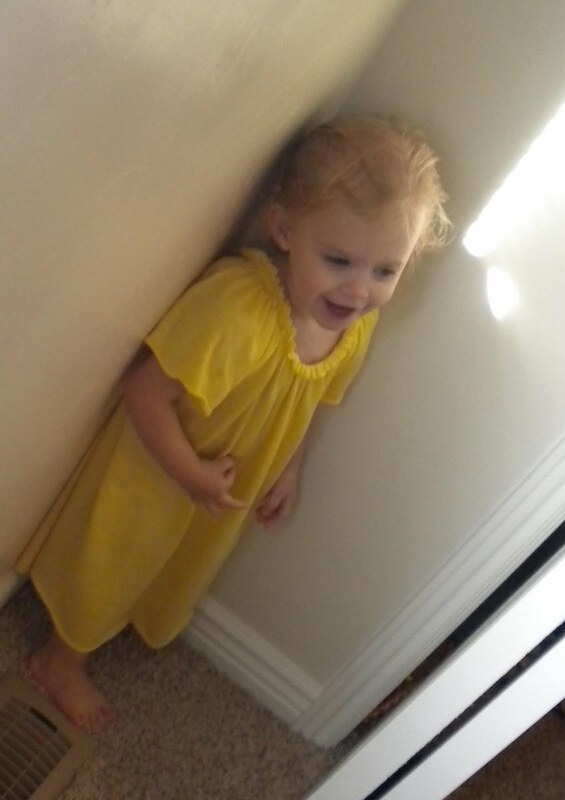 Just like my youngest! Your girls are adorable! I love the way the nighties turned out, so cute, and they look completely comfy too. Good idea for a night gown... I love to shop the $3 ladies clearance rack at walmart for xl or bigger knit tops. This pattern would be great for that! Umm... you FINALLY are running out of creative juices? It would have happened to me on the 3rd day. :) And actually you're not. That is a great name for a PERFECT nightie!! What a great idea! I'm so tired of the all those Disney princess nightgowns!! !